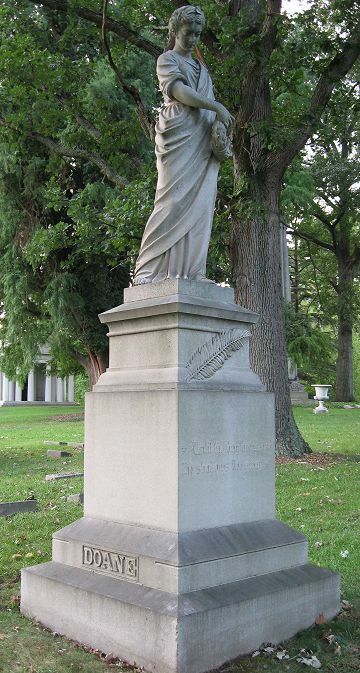 Spring Grove Cemetery and Arboretum, Cincinnati, Ohio, U.S.A.
William Howard Doane (1832-1915) was an American composer, editor of hymn books, businessman and inventor. Composed over 2000 tunes, many for the hymns and Gospel songs written by Fanny Crosby, including "Rescue the Perishing," "I Am Thine, O Lord," "Near the Cross," and "Safe in the Arms of Jesus." 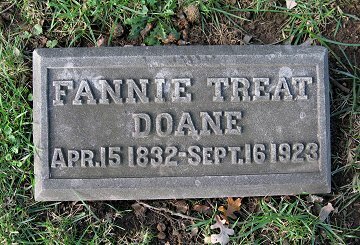 Marker for Mrs. Fannie Doane. 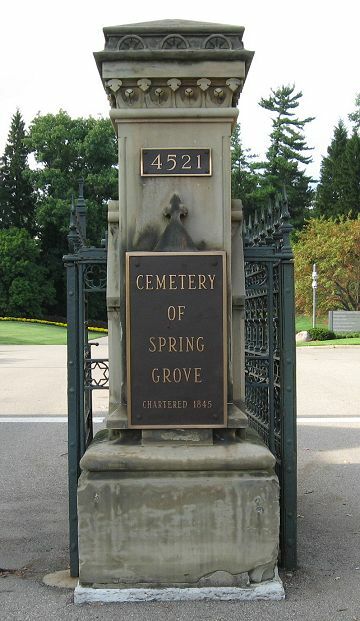 Spring Grove Cemetery main gate entrance on Spring Grove Avenue. Travel straight under bridge and cross intersection. 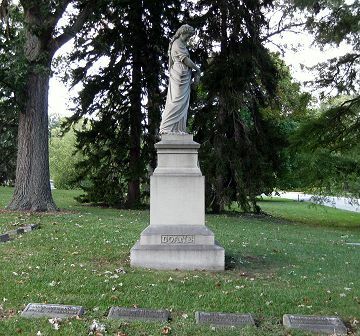 About 0.1 mile from bridge, on left is tall monument with woman holding a wreath. Front side of monument has inscription: Until the day break and the shadows flee away. 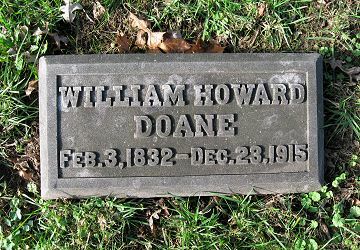 Base of left side has inscription: DOANE. To left of monument are four, flat stone markers for Doane, his wife, and two daughters. Photographs by Stephen & Dorothy Ross for WholesomeWords.org 2009.